Known by many as the Beef Capital of Australia due to the major cattle stations nearby, Rockhampton really does have so much more to offer. (Which, as a vegetarian, I am very thankful for!) Sitting on the Tropic of Capricorn, this city-region of over 80,000 people is big enough to have all the major amenities (including an airport) but small (and spread out) enough to retain a laid back country feel. A perfect example of this unique combination is the Fitzroy River running through the middle of the newly developed CBD. Stunning heritage buildings, outstanding restaurants, and tech driven modern facilities sit adjacent to fishing boats and meandering riverside walks, all just a stone’s throw away from the beautiful Mount Archer National Park. When you go to Rockhampton there are a range of options open to you: go doh eyed over the first baby chimpanzee to be born in Queensland for decades, marvel at one of the most significant Australian modern art collections in the country, and even jump on a chartered fishing boat and catch a fish in the home of barramundi. Head up Mount Archer to watch the sunset from the canopy boardwalk, take a ride on the only working Purrey Steam Tram in the world, and head out to one of the smaller townships that make up the region: the historic gold mining town of Mount Morgan is a highlight. Rockhampton is also just 40km from the coastal town of Yeppoon, which is the gateway to the Southern Great Barrier Reef and the Keppel Islands. In the past Rockhampton has often been overlooked by those on an East Coast road trip, but Rocky (as the locals call it) is putting itself back on the map. Whether you stay for a night or a week in this very affordable Australian destination, it’s definitely worth exploring. Temperatures between November and March will regularly hit over 30 degrees, so if you aren’t into serious heat then that time is best avoided. The weather is lovely from June to September (mid to high 20s), with the added benefit of rainfall being all but non existent. The locals will take pride in telling you that Rockhampton experiences 300 days of sunshine a year, so whenever you go you’re bound to be able to top up your tan. A brand new development, opened in March 2018, provides a lovely public space to enjoy views of the Fitzroy River and Mount Archer to the front, and the architecture of the CBD behind. There’s a fantastic play park for children, lots of shaded areas to sit in, public art to enjoy, as well as the Boathouse Cafe and Restaurant (more info below) and amenities. One of the best elements are the water features: pop jets create mazes and fun for kids during the day, and impressive shows to light and music during the evening. The waterfall shows patterns and messages by creating gaps in the water flow. There are often markets and events on here, so it is worth looking at the Council’s facebook page to see if anything is coming up. If you happen to be there in July, then make sure you go to the fantastic River Festival. A new river cruise company launched in September 2018 and offers sunset trips, guided tours, and private parties. Their sister company also offers chartered fishing trips. Go to their website to find out more and make a booking. There are quite a few stunning buildings along this short 2km walk, including some that I would personally add to the map (look out for the court houses when you come onto East Street). The highlight of the heritage walk for me is undoubtedly Customs House (but the School of Arts is a close second). The current Customs House building was constructed in 1899, although there had been a facility on that site to deal with the significant influx of goods and trade from the Fitzroy River shortly after the Archer brothers arrived in 1853. Today it houses the Rockhampton Smart Hub, an innovative co-working space that is well worth a look if you are passing during work hours. Rockhampton Zoo is open seven days a week from 8am to 4.30pm, and is completely free (although donations are welcomed). There’s over 60 different species, including crocodiles, emus, kangaroos, dingoes and koalas. A special highlight is Capri, a baby chimpanzee who was born there in February 2018. The people that work at the Zoo are really passionate and keen to help, so definitely seek them out if you have any questions. A good time to go is the afternoon, as they do keeper talks and feeding from 2.30pm. They start with otters, then the bird aviary at 2.45pm, the chimpanzees at 3pm, the wild lorikeets at 3.15pm, and koalas at 3.20pm. The best place to keep up with what’s on there is to go on their facebook page. Situated just next to the Zoo, Rockhampton’s Botanic Gardens are also free to enter. There is a seriously impressive array of plants and fauna in here, with stand out features like the Japanese Gardens making it easy to see why it’s one of the best rated Botanic Gardens in regional Australia. Head down to the lagoon for a guaranteed turtle sighting, and enjoy a drink or something to eat under the stunning Banyan Figs which surround the tea rooms. You can also pick up a few souvenirs at the gift shop. If you’re travelling with children there’s a play area and plenty of picnic spots. The gardens open at 6am and close at sunset. At over 600m above sea level, Mount Archer is a beautiful natural playground for all abilities. Easily accessible from the city, it offers walking tracks of varying difficulty and length. You can drive up Pilbeam Drive to the summit and wander along the elevated boardwalk nestled among the tree tops, take the day to hike up, or explore the world class mountain bike trails at the First Turkey Reserve. The local mountain bike club often does rides for beginners, and in any event will be happy to provide lots of information for those wanting to have a go. The art gallery in Rockhampton has a fascinating history, which has led it to holding one of the most significant collections of Australian modern art in the world. I solemnly charge the future citizens of Rockhampton to maintain and advance this Gallery in years to come. This is the least that we can expect of the citizens of tomorrow, in return for the splendid contribution made by the citizens of today. The collection today is worth over $14 million, and has far outgrown the current premises. The council has big plans for a new gallery, but for now you can find them next to the Pilbeam Theatre on Victoria Parade. There’s plenty of parking, a fantastic shop, and great activities like Wine and Watercolour, Pilates among the Paintings, and night photography walks. Go here for more on the gallery’s history, here to see current exhibitions, and head to their facebook page to keep up to date with everything else. These words, written in 1886 by a journalist at the Brisbane Courier, are among many which reflect the explosion of interest in Mount Morgan following the discovery of gold and the township which quickly grew as a result. At one point, more gold was being mined in Mount Morgan than anywhere else in the world. Fast forward 132 years and Mount Morgan no longer has an active mine, but still welcomes thousands of visitors a year. The draw cards now are its historical town centre, impressive museums (including at the mine site itself), stunning walks around the No 7. dam, and the best examples of early Jurassic dinosaur track prints in Australia. If you want to make the most of your visit and learn a lot from a local, then book yourself on a tour. You can pop in to the excellent Capricorn Caves on your way in or out of Rockhampton, as they’re about 20km north of the city. The last walking tour leaves at 4pm, but if you’re feeling more adventurous you can go caving or abseiling. If you happen to be there around the December solstice or when they are doing an opera performance in the stunning cathedral cave (May and November), make sure you don’t miss it. Waterfalls, walkways, and the unique Wyatt’s Wonder Web help to make Kershaw Gardens one of the best play spaces in Queensland. If you have kids, it really is a must. Take some time to find out about its interesting history too. A cyclone in 2015 brought up some unwelcome remnants of the landfill it was originally built over, leading to an impressive $16 million redevelopment which opened in August 2018. One of my favourite features is ‘The River’, a wet play area which mimics the contours of the Fitzroy. I’m not going to lie to you. As a born and bred city girl, this was absolutely bizarre! Especially when actual children UNDER 12 come out riding bucking bulls. But, if you’re in cattle country, you probably should come and see where the cowboys hang out. Check the website to make sure you go when a rodeo event is on, and prepare for the surreal experience of eating dinner whilst watching bulls throwing riders off their backs – all just a few hundred metres from the CBD. Home of the only functioning Purrey Steam Tram in the world, this is an adorable museum run by enthusiastic volunteers. If you’re at all interested in the history of transport, trains, or just want to see a lovely heritage building, then make sure you stop by. This living museum gives visitors an insight into what rural Australia was like for the hundred years or so following 1850. Explore the extensive antique farming equipment, have a break at the tea rooms, and wander between the houses and classic cars. A school, a church, a printing press and even a hospital make up the attractions on this eleven hectare estate. Some of the buildings are replicas but many are real, having been relocated from their original spots across the region. Check out their facebook page to see if you can coincide your visit with one of their Sunday markets. Arnold’s General Store. Picture from Heritage Village website. Make sure you check what is on at the Pilbeam Theatre when you’re in town. The library also offers a number of free events, including the impressive steam punk and pop culture convention CapriCon, which takes place in April. The Dreamtime Centre provides an insight into Aboriginal and Torres Strait Islander history and culture, including a boomerang lesson if you’d like to test your skills. Keep an eye out for the numerous bull statues across the city, giving a nod to the historic farming link. If you’re after a treat book yourself in at the excellent Beaucare, which is in a beautiful old Queenslander house. I’d highly recommend the signature facial. If you need to burn off some holiday food get in touch with Fitzroy Fitness to take part of one of their classes. They are hard work but fun, and this family run business prides itself on being accessible to all fitness levels. Download the Explore Rockhampton App for self guided tours, to learn about the history of the area, and to see upcoming events. Boathouse – Set on the banks of the Fitzroy, this restaurant offers lovely views and great food in a modern setting. The Boathouse Breakfast, available until 11.30am. Pacinos – Authentic homemade dishes make up the menu in this family owned Italian. Headricks Lane – Owned by the same people who run the Boathouse, this is one of the nicest settings for drinks and dinner in the Rockhampton region. Try your luck at Wednesday night trivia: entry is free and you can win generous bar tabs. Heritage Hotel – A beautiful building (somewhat spoiled by the luminous XXXX sign on the front), serving standard pub food and a good range of drinks. Edge – Excellent cocktails, a good range of food, and modern decor are the characteristics of this popular CBD spot. Coffee Club – A national chain but a reliable place for coffees, snacks, and meals. Dingles – Their website and Facebook page aren’t up to much, but don’t let that put you off. The food is good and the interior is beautiful. For river and mountain views check out the modern Empire Apartments or Edge Apartments, both of which have pools, gyms, and private parking. When we stayed at Edge it wasn’t full, so they gave us a free upgrade. The Denison Hotel, situated in an 1886 heritage listed building, offers a more boutique experience. For cheaper stays, there are a number of motels throughout the area. If you are in a motorhome or caravan, there’s some free spots at Kershaw Gardens. The Riverside Tourist Park is also a good option, and it offers cheap and cheerful four person cabins for $100 a night. Rockhampton Airport is one of the main regional airports in Queensland, and is just 5km outside the city. Over 650,000 passengers use it every year to get flights to Brisbane, Mackay, Townsville, Cairns and the Gold Coast. Check Qantas or Virgin Australia for flights. (Look out for the social media wall – tag your pictures with #visitrockhampton and you could find your snaps featured up there.) Once you land there is a taxi rank (less than $20 to town), as well as a not very frequent bus service. The Bruce Highway, a major road which connects Brisbane to Cairns, runs directly through Rockhampton. The Spirit of Queensland Train, which runs between Brisbane and Cairns, stops at Rockhampton a couple of times a week. The Tilt Train runs more frequently. Once you’ve arrived there is a bus service within Rockhampton and a second one which will take you up to the coast, but in order to make the most of your time here I would say hiring a car is a must. Most of the main operators have desks at the airport. For more tips on what to do in Rockhampton visit Advance Rockhampton’s website. 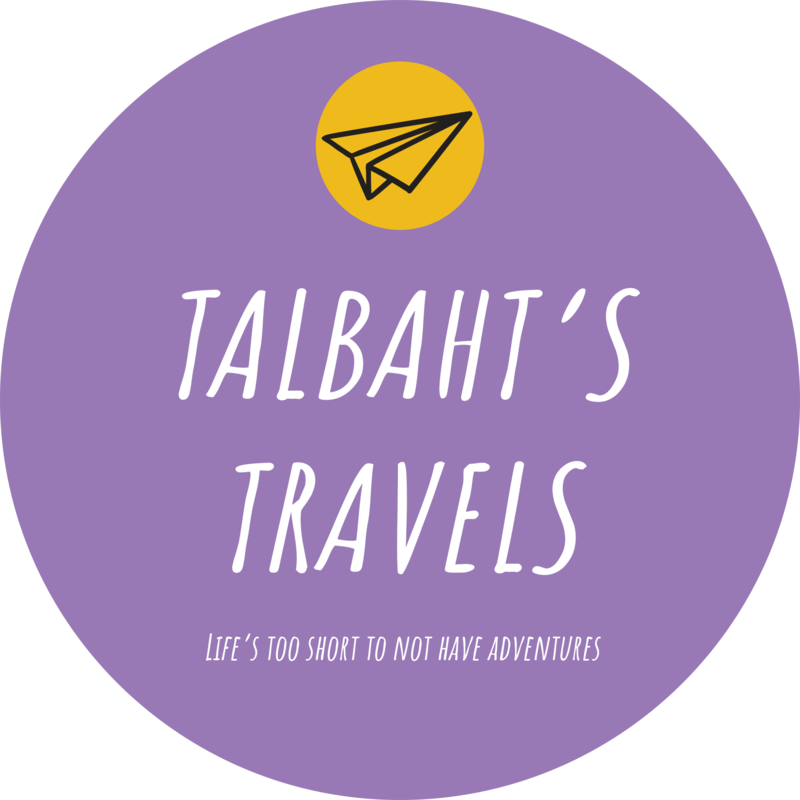 If you have any questions, want help planning a trip to Rockhampton or have an idea for a guest blog please email contact@talbahtstravels.com.